I am a skilled and self-motivated trainer and speaker on gender, children issues and girl’s rights, and elevator of women, an experience qualify social worker on children/families and young people with over 10years experience of dealing with girls. I am the Co-Founder and brain child of the Guadalupe Old Girls Association-UK (GOGA-SISTERS) which has supported 1000 girls in my alma meta school and home town(Lunsar). I am the Founder/Director of Girl Child Network Sierra Leone chapter which has also supported over 5000 girls and still supporting from all backgrounds. Founder of LaLaPosh Enterprise a Social Enterprise generating funds and creating jobs for girls and women in producing Reusable Sanitary Pads (EcoJC Pads), Art/Craft and Agrio business/Agriculture. Both of these organizations focus on girls and women holistic and economic empowerment, with some of the most inspiring women and girls from different background, who have turned a life of ordinary into remarkably extra ordinary stories. I am also a mentor for girls to partake in life-changing life skills activities and inspirational events. Anita holds a BA in Professional Studies and BA (Hons) in Social Work in the UK with a lot of professional skills training on girls and women empowerment initiatives. 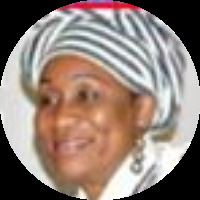 Anita continues to remain as an active and passionate advocate on all forms of abuse, harmful cultural practices as well as an empowerment agent for girls and women national and International.